Fyrsti og eini golfboltinn sérstaklega hannaður til að spila í köldu veðurfari eða undir 15,5 gráðum. Bolti sem er eins og sérhannaður fyrir íslenskar aðstæður allan ársins hring. Verð á bolta 490 kr. Hver eining er 3 boltar í pakka. The "Original" Cold Weather Golf Ball Solution. 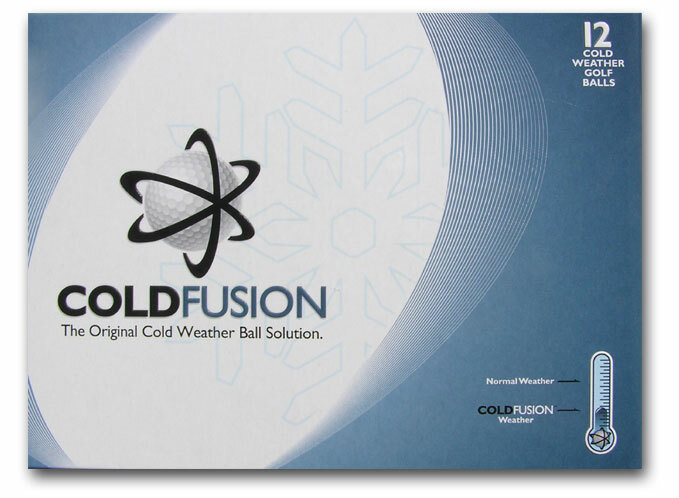 When the temperature drops and your regular ball stops performing, switch to COLDFUSION to enhance your game. Golf is not always played in perfect weather. Finally you have a golf ball that outperforms other balls in less than ideal conditions. The ball also includes the ColdSolution Alignment Aid to improve setup. * Made to USGA requirements but not yet included on the USGA Conforming List.